From high-speed coasters, to incredible up-close encounters with exotic creatures of the African grasslands, Busch Gardens, Tampa in central Florida is ready to be explored. 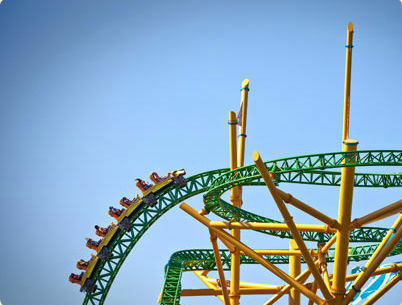 The addition of the Cheetah Hunt coaster allows guests to enjoy the incredible speed of the world’s fastest animal as they speed along the 4,400 feet of track (making it the park’s longest coaster). Thrill seekers will surely enjoy the 130-foot drop into an underground trench. The ride also boasts not one, not two, but three launch points where riders are shot 60 miles an hour up hundreds of feet of state-of-the-art coaster track! As Florida’s first triple-launch coaster, Cheetah Hunt has become a staple of the park. Riders can also expect amazing views of the park while on the coaster from its bird’s eye vantage point. The heart-racing excitement does not end with the high-speed coaster. Located right next door is the Cheetah Run, an all-new animal-interactive experience. The Cheetah Run allows guests to the park to watch as cheetah trainers direct a rehearsed sprint through the cheetah terrain. The Cheetah Run goes along with Busch Gardens’ overall emphasis on animal conservation. The SeaWorld & Busch Gardens Conservation Fund is a registered non-profit conservation foundation which has raised $7 million in support of projects around the world in over 60 countries, helping more than 24.000 animals over 50 years. The park allows guests to interact with the animals like never before, as you can see from our video. In addition to Cheetah Run, the 65-acre Serengeti Safari is where guests ride in a the back of a flatbed truck and come face to face with giraffes, zebras, hippos, and other creatures commonly found on the African terrain. Furthermore, knowledgeable park guides ride with guests and share their wealth of fascinating fun facts about all the animals and the ways that the park works to keep up their positive relationships with the planet’s most incredible wildlife. Groups are permitted to feed giraffes that typically stick their heads curiously over the railings of the truck, allowing for a truly once-in-a-lifetime encounter. Families planning a trip to Orlando should make sure to leave a day for this Africa themed park, because it’s so different from the other area themeparks. Toddlers will enjoy the Sesame Street Safari of Fun play area with its many animals and gentle rides. Bird Gardens aviary is another fun place where little ones can pose with birds at feeding stations. Everyone will enjoy the Opening Night Critters show when the park’s talented handlers encourage animals to do amazing ‘stunts’ for the audience. Teens and family members into extreme coasters can look forward to the park’s famous SheiKra, one of the tallest dive coasters in the world with a very cool water-feature finale. At 335 feet, Falcon’s Fury is the tallest freestanding drop tower in North America; Montu is one of those coasters that hurls you upside down and back upright again on its route — and Kumba are all fun too. There’s plenty of on-site parking for a fee, but many a free shuttle service (the eco-friendly choice) goes from several locations in Orlando to the park. Check the Busch Gardens website for seasonal vacation packages, as there are great values in multi-day tickets that include admission to Busch Gardens Tampa and her sister parks: SeaWorld, Aquatica and Discovery Cove; as well as other packages with Universal Orlando and Wet n’ Wild. For more information about vacation packages, park hours and to plan out your day (always a good idea in the busy summer season), visit Busch Gardens Tampa.